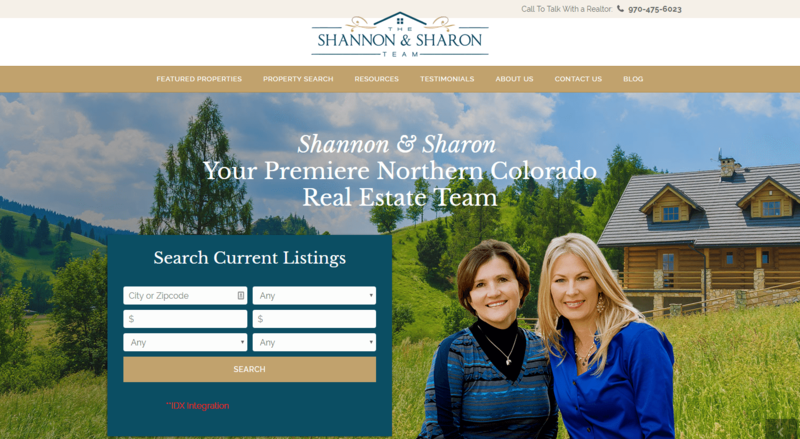 We’re about ready to roll out another custom real estate website design that meets all of the specifications of our clients, Sharon Herdman and Shannon Blesener. They are both with Sears Real Estate in Greeley, Colorado. The team has been ranked in the top 15 by RealTrends among the top real estate professionals in the United States. They have been partners in real estate since 2005 and are also members of The Thousand Top Real Estate Professionals. They asked us to take an outdated and non-mobile friendly website and bring it into the present, while giving them an awesome branding boost!